I don’t know about you, but I get pretty grumpy when I run out of water during my longer distance runs (15-20km). Sometimes refueling is not as easy as it sounds especially when your running route is scarce of shops. 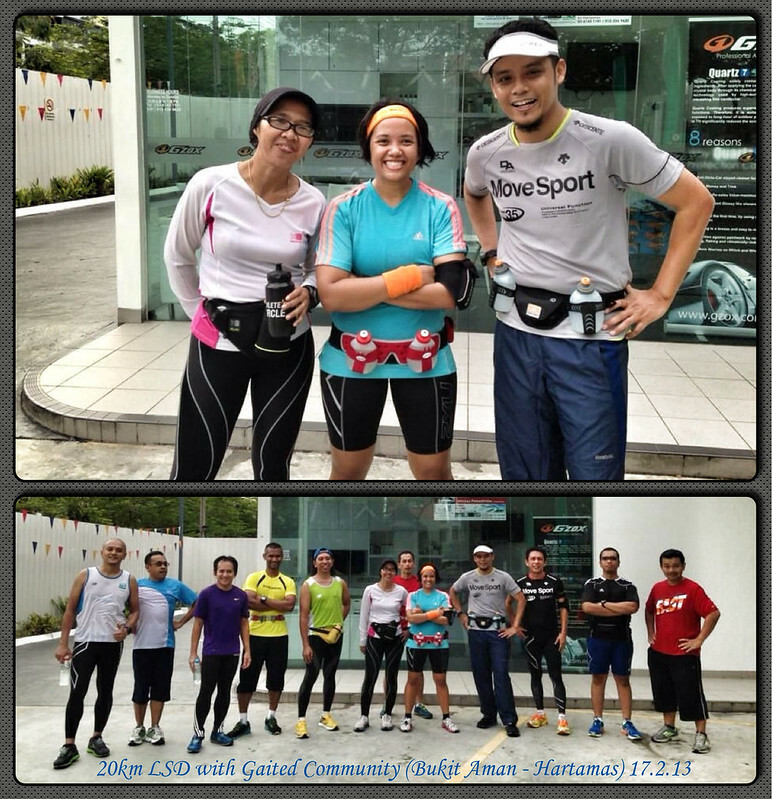 I tested it out during my 20km run with my Gaited Community friends from Bukit Aman-Hartamas that Sunday of 17th February, and I am happy to say the 8oz x 4 water capacity (around 900ml) really did me a ton of good! Some folks have asked me if it is heavy to run with that much water around my waist. I mean sure – that’s almost an additional kilo of weight right there. But the design of this particular Fuel Belt bounced little if ever, and after you get into the rhythm of things you forget that it’s there – until you reach down for a drink. And as you drink, the weight on your waist eventually gets shaved off anyway. It’s also got a little pocket that you could stuff your car keys in there, but that’s about as much space as you’re ever gonna get. It’s minimal design as its best. The only caveat I encountered was when I finished the first two bottles at the front and the belt becomes heavy at the back, thus started to slip sideways – but that’s probably due to my gait style. I always find that it’s easier to run with two full bottles on my front so no problem – I just rotated the belt around so that it’s heavy on my front than on my back. It was during this running session that I also tried out some lemon electrolyte tablets, recommended to me by my friend Jolene of Athlete’s Circle where I got them. I’ve always heard people using them but never got around to trying it myself. I should’ve tried them sooner – I am sold and hooked! I diluted one tablet into 500ml of water, then divided them into two water bottles on my fuel belt (I filled up the remaining 2 bottles with plain water). Since the tablet contains only 9 calories, it is a lower calorie option of re-hydrating than 100plus or Gatorade. I felt so much more refreshed drinking the electrolyte mixture than the sugary energy drinks I used to consume. However if you’re looking to reload on calories then you’ll still need to consume additional things, like a power gel, a bun, whatever rocks your boat. In short, I am loving the overhaul in my refueling system. Always do what works for you!